Three years ago Emma (17) and her sister Cass (15) disappear without a trace. Now, Cass has returned to finally explain what happened to them and help the FBI find Emma. Cass tells a captivating story of abduction, deception and general creepiness on an unknown island off the coast of Maine where she and Emma were held against their will. As she recaps the events for her family and the FBI, including Dr. Abby Winter, we learn about their horrible ordeal and Cass’s attempts to escape with a promise to return for her sister. Before their disappearance Cass and Emma’s home life was far from perfect. Walker focuses a lot on their narcissistic mother (referred to as Mrs. Martin by Cass), and her despicable behavior and treatment of the girls. Coincidentally, Dr. Winter is also an expert in narcissism so she soon starts to identify the behavior and its effects on Cass. The rest of the family isn't great either, and I won't give too much away here but be prepared to read about some serious dysfunction. As holes in Cass’s story start to surface, I wasn’t sure what to believe and the pages turned easily as I was eager to learn what really happened to Cass and Emma. The ending was a complete surprise to me. The story was not without a few plot holes and question marks and the characters were mostly unlikeable (some were awful), however overall, I really enjoyed this thriller and would recommend it! 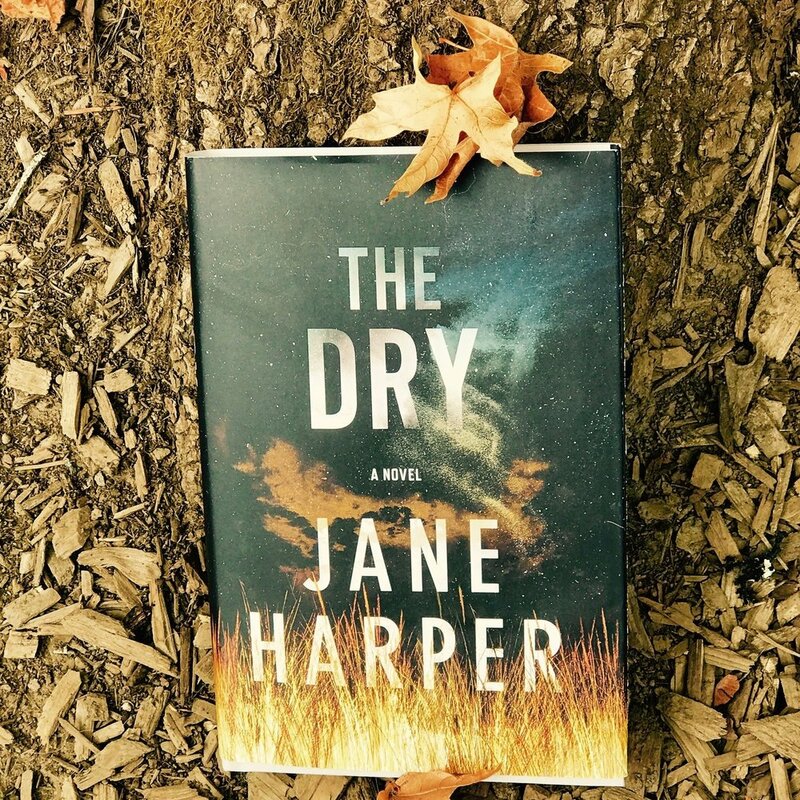 I’ve been recommending The Dry by Jane Harper to all of my friends this week, especially those friends who share my passion for crime and mystery fiction. This was one of the best books I’ve read in a long time (right up there with Tana French’s Dublin Murder Squad Series). Sometimes it takes me a few chapters to get into a book but with this one captivated me from the first page until the last. The Dry, Harper's debut novel, is set in a small town in Australia during a horrible drought that takes its toll on the local psyche and economy. Through Harper’s vivid storytelling you can feel the unforgiving heat. Enter Federal Agent Aaron Falk who returns to town after hearing that his childhood best friend, Luke, has been killed along with his wife and young son. As Falk investigates the murders, Harper alternates between the past and the present. Two mysteries unfold and the story builds so rapidly that you won’t want to put down your book … not even to quench your thirst with a refill on your drink. Best Paired with a large glass of water (you’ll be thirsty) and a dry martini (you’ll need it).